Oil on canvas: 25 1/4 x 30 1/4 in. 64 x 77 cm. 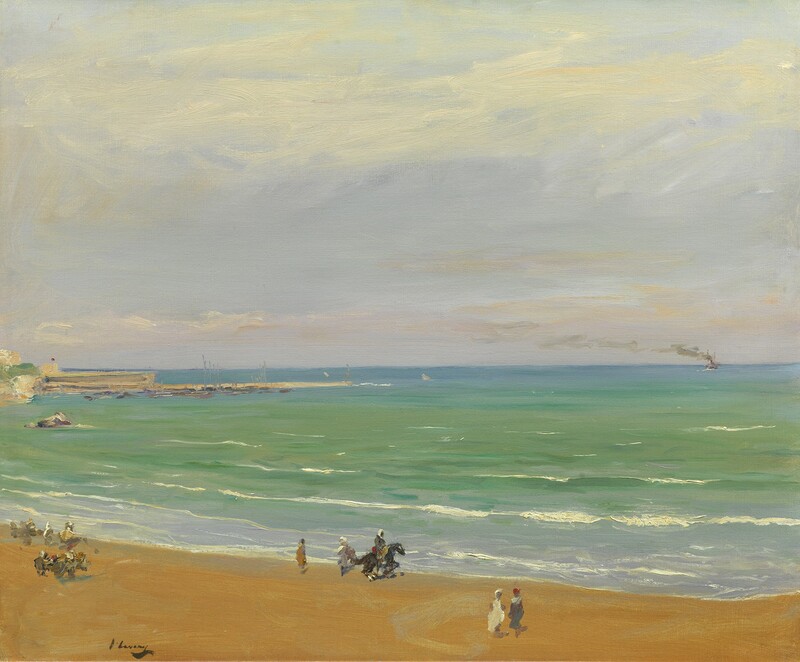 Throughout his career the Irish painter Sir John Lavery was a frequent visitor to Tangier, which he clearly loved and which gave him constant inspiration. 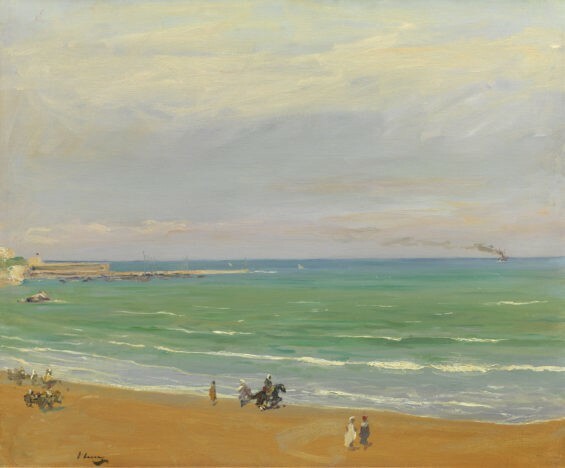 The shifting lights on the sea, and the hint of the Spanish coast on the horizon, were romantic motifs to which the painter frequently returned. Similar works in private collections include ‘Rising Moon, Tangier Bay’, 1912, ‘The Southern Sea’ and ‘The Spanish Coast from Tangier, both circa 1911. A painting of similar size to this one, ‘On the Cliffs’, 1911, fetched £240,000 at Bonhams in 2006. I am writing to enquire about "Tangier Harbour"